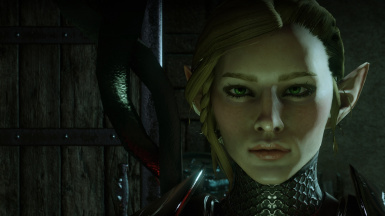 Character creation sliders for a female elf. 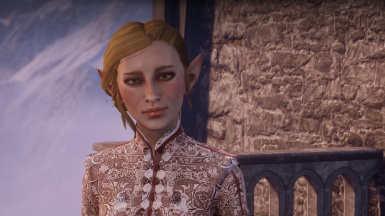 Minimal make up for a slightly more natural look. 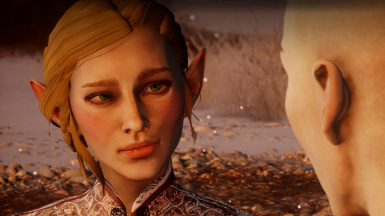 Using mods by Naviruo, Khylian, Skaramoosh, Ascendia, ZannaMods, Zolariel, FemShepping, Berelinde, and Caliterra. 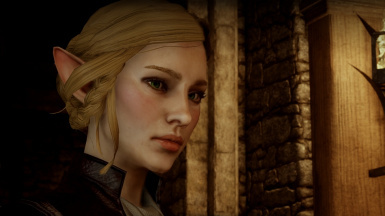 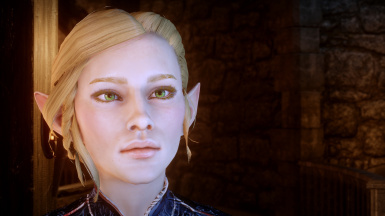 My current Lady Lavellan Inquisitor. 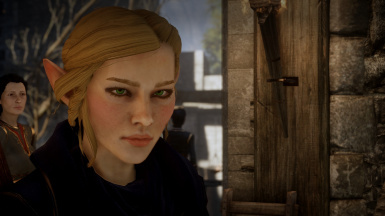 Although we're limited by storytelling mechanics, I actually created her for a non-Dalish playthrough. 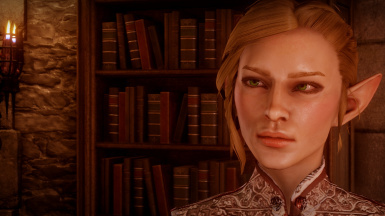 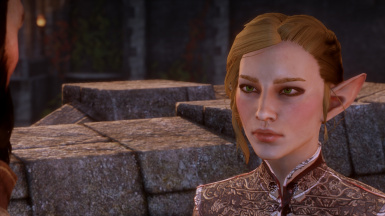 There's a mod out there that removes vallaslin completely, but I fool around with the Black Emporium and my modlist too often to bother with it, and so you may notice very faint markings across her cheeks in a few of the screen shots. 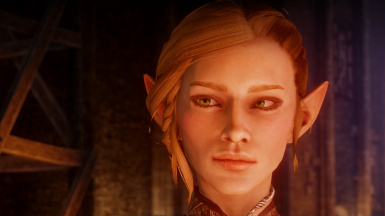 If you end up using her for a game, I'd love to see your take!